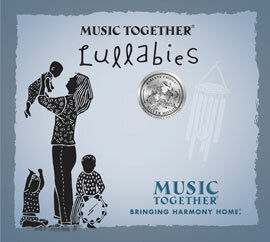 Music Together® has developed nine non-sequential song collections, each characterized by its own graphic, color, and instrument. These collections each include a CD and songbook and are designed to be used one collection per semester. The collections are not sequential. 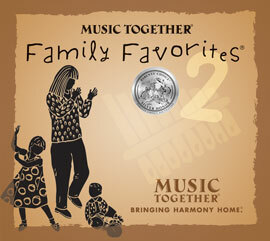 A family can begin Music Together classes at any time with any collection. Each family enrolled in the program takes home a beautifully illustrated songbook and two CD's each semester. 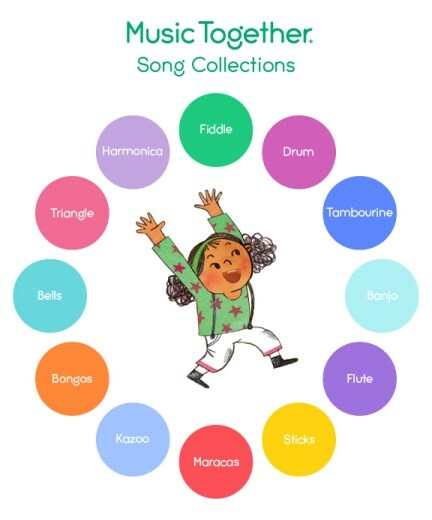 The music is pitched in just the right range for children’s voices and includes songs, rhythmic chants, tonal and rhythm patterns, and instrumental play-alongs, all in a rich variety of genres, tonalities and meters. Music Together’s song collections are research-based and artistically conceived and produced. They are also classroom- and family-tested. Since 1987, the feedback of hundreds of teachers and thousands of families has been incorporated into these constantly evolving materials. 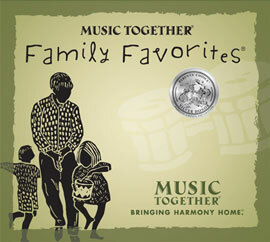 These award-winning Music Together Family Favorites and Lullabies CDs feature some of our families' most loved songs from all nine Music together song collections. Click on an image to purchase yours today!